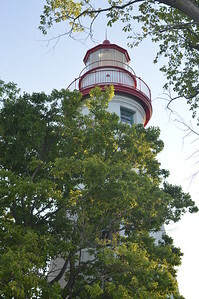 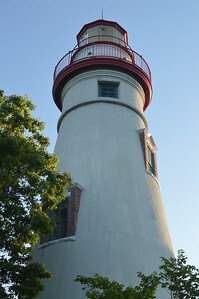 The Marblehead Lighthouse in Marblehead, OH collecting visitors at its base within the rocks below. 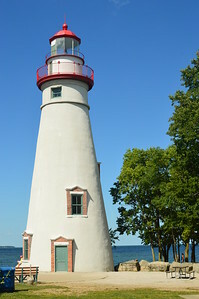 The Marblehead Lighthouse in Marblehead, OH. 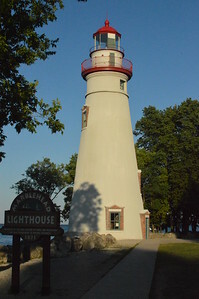 The oldest continuous operating lighthouse on Lake Erie. 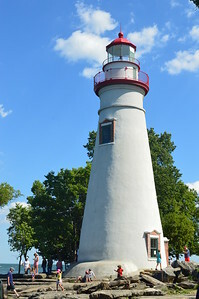 The Marblehead Lighthouse in Marblehead, OH standing above Lake Erie. 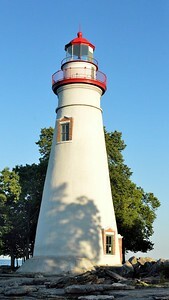 The Marblehead Lighthouse rising up above the beaches of Lake Erie from Marblehead, OH. 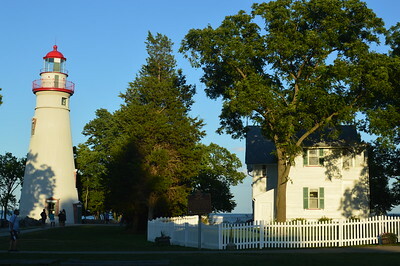 The Marblehead Lighthouse and caretaker house as it sits upon Marblehead Lighthouse State Park in Marblehead, OH.